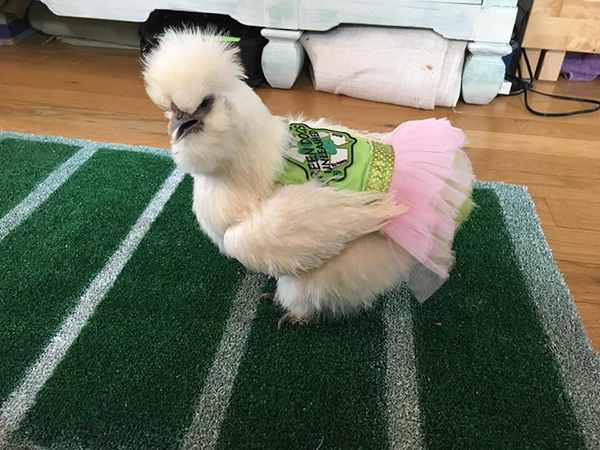 Meet the lovely Darla, she’s not just your average chicken, she’s actually a therapy chicken that is on a mission to help teach the community on how to treat animals more humanely. It’s sad to hear that some people need teaching how to properly treat animals but Darla is turning her rough past into a positive experience. Erika is the founder of Green Dogs Unleashed which is a non-profit organization committed to rescuing animals in need and training them to become therapy pets to help the community. 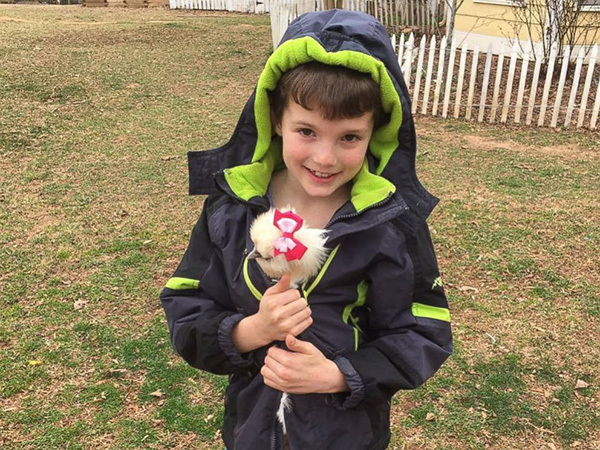 She noticed how great Darla's temperament was with people and decided to train her as a therapy chicken. "Darla is just so friendly, we started using her to do humane education," she explained. 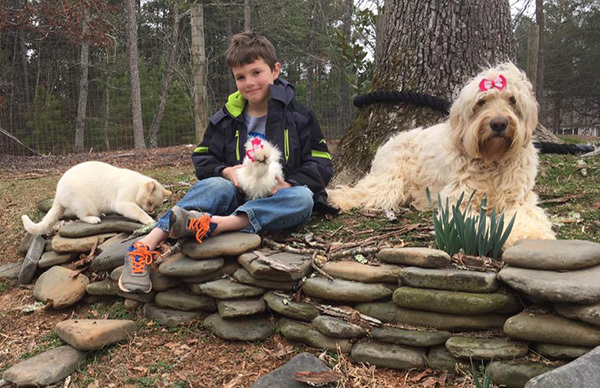 "We’re able to teach others about the care of animals and compassion for animals and how chickens can be pets too." The mother of two added, "Chickens are more than food." Darla was rescued from a farm by 7 year old Finn Proctor when she was just 3 weeks old. Finn's Mother, Erika explained to ABC News , "My son had found her ... looking very, very sick and he didn't want to leave without taking her home." The family also adopted 2 other chickens that were with Darla but she was the only one that survived. Proctor said that she and her son are passionate about teaching with Darla because "humane education is something that's really lacking in our school system." "We’re able to go into schools, and camps and talk to kids about compassionate care," she added. 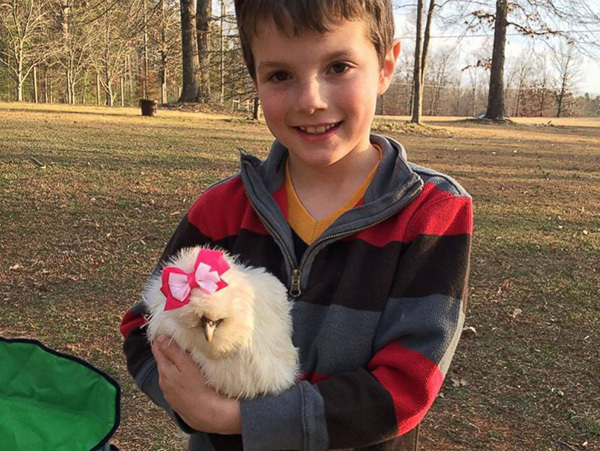 Adopting Darla has changed the family completely, even helping them become vegetarians. "It's brought a whole new level of compassion. There's now 25 chickens and they all have names, they all have personalities. They're our pets."